What area was this at? Perhaps near PDX as listed in your bio? I was walking through a SoCal Costco last week and didn't see it there. Ah, okay thanks for the info! I'll keep an eye out for it as well. Is it the 22060D2? Your CEO scored a great price on those pieces! 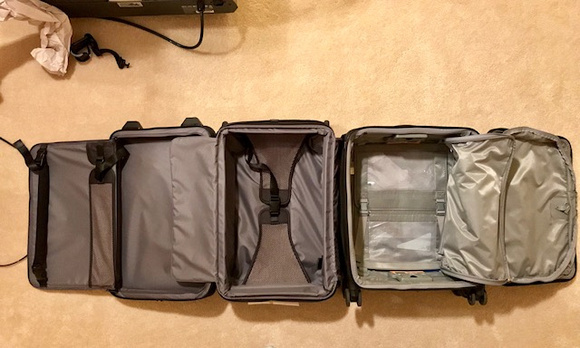 FWIW I am returning them both, did a run off for a my standard 5 day TPAC trip that included blazer, four trousers, 5 shirts, running shoes, socks/jersey, socks/underwear and toiletries, all fit with buffer for some extra stuff. 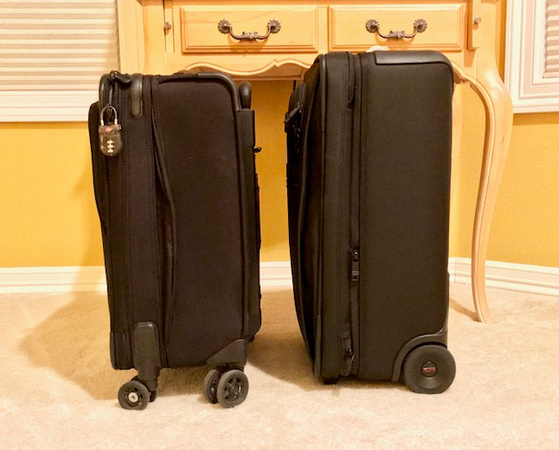 Tumi didn't come close, the aspect ratio made it very less flexible, I was surprised. What's the aspect ratio that made it less flexible? So the Tumi didn't come close to holding as much as the B&R? I love a deal as much as anyone, but the TUMI simply couldn't hold what I needed it to, returned. Well the B&R is a lot wider so its not really apples to apples... would be interesting to know the cubic measurements for both. Ironically I think the wider B&R probably fits better into overhead since it appears to be a bit shorter, even with the 4 wheels. On the flip side, the loss of width for suit jackets is a minus. 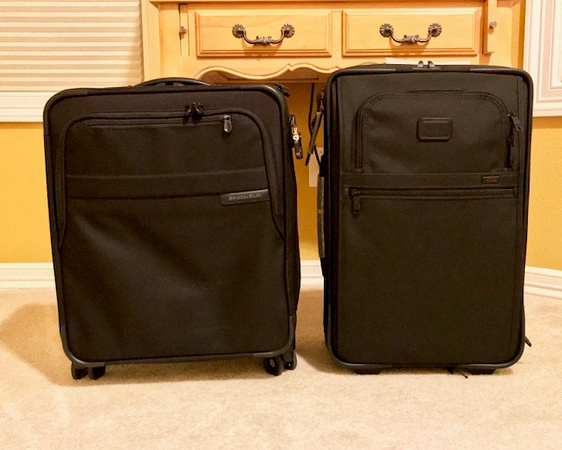 Yes the Tumi and my old Hartman were far better for a sports jacket suit fold in, while the wider Briggs requires a different folding sequence to get in, less desirable.